High alpine tee shots soar for days. Looking to add a little distance to your drive this summer? Tee it up at these five Colorado courses, each above 9,000 feet, and watch in amazement as your golf ball cuts through the thin alpine air. Striking a golf ball at higher altitudes adds close to 10 percent more distance to your overall yardage, which can turn pesky bogies into pars and pars into birdies. The following courses boast some of the highest tee-boxes in the country and offer golfers the best opportunities for channeling their inner Happy Gilmore. Claiming the highest tee-box in North America, Copper Creek's Hole 14 rests at 9,863 feet. Enjoy views of the 10 Mile Range while making your way around this 18-hole course. Designed by Perry Dye and Pete Dye, Copper Creek measures 6,057 yards from the longest tees. Mt. Massive Golf Course is a 9-hole public course that sits in the Arkansas River Valley and is surrounded by ranchland and forest. This course measures 3,003 yards from the longest tees and offers a relaxed atmosphere off the beaten path. Nestled into the country's highest concentration of 13,000 and 14,000-foot peaks, the Telluride Golf Club offers 18 holes of challenging golf. 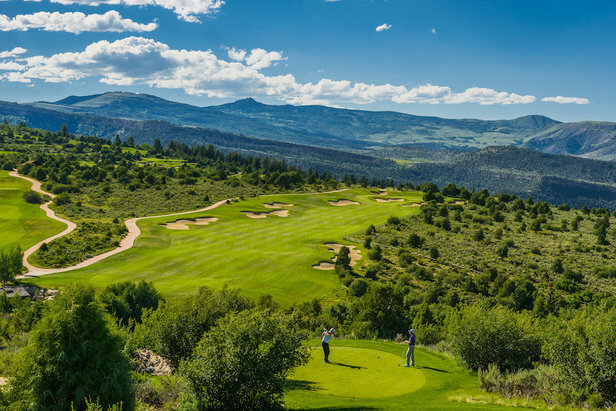 The 6,574-yard course winds through rugged terrain in the heart of the Rockies. Keep an eye out for the ancient barn located on the 10th hole—it once belonged to the property's original owner. Breckenridge Golf Club is set in the middle of Colorado ski country and is within a short drive of downtown Denver. Guests will find the Jack Nicklaus designed 27-hole course as challenging as it is beautiful. After your round, stop in for a celebratory beverage at the rustic, yet elegant clubhouse. The Club at Crested Butte is a 7,208-yard championship golf course was designed by Robert Trent Jones II and sprawls over 160 pristine acres of land just south of the town of Crested Butte. Enjoy breathtaking views of the Elk Mountain Range while navigating one of the state's hidden gems. 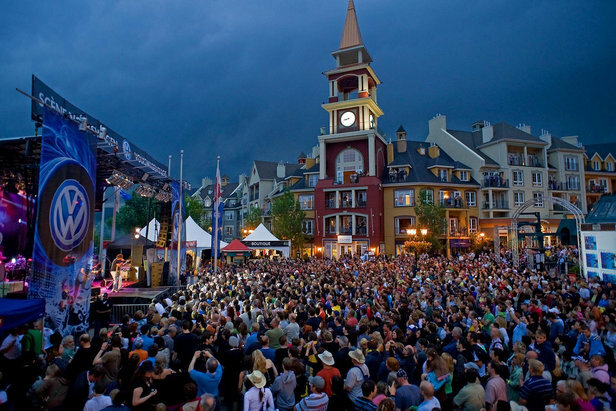 From the first note picked to the last beer poured, these are the best summer music festivals in the mountains of the United States.